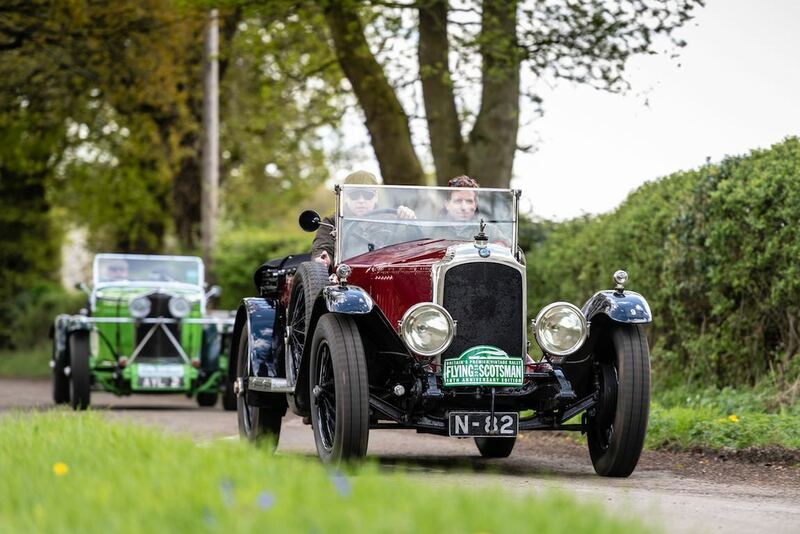 The Flying Scotsman Rally 2018 was staged 26-29 April, starting in England at the Brooklands Museum and finishing on the world-famous Royal Mile in Edinburgh, Scotland. The four-day event covered 726 miles and negotiated 13 Tests and 15 Regularities. 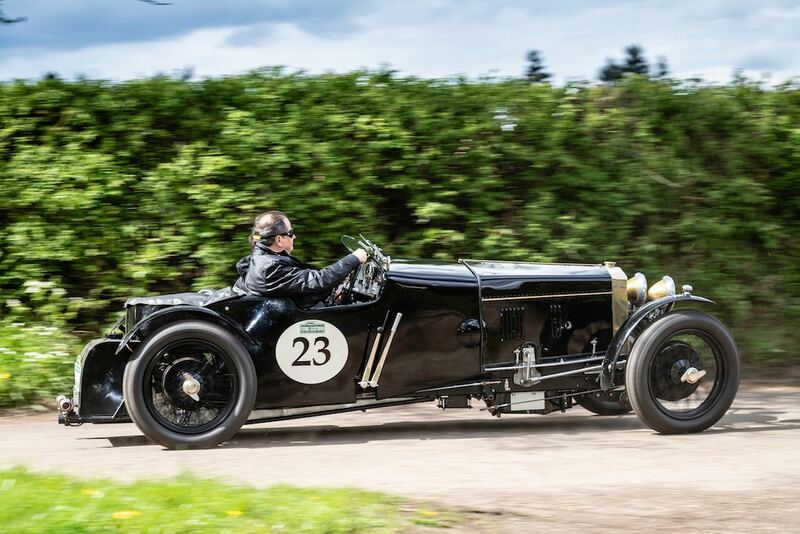 The Endurance Rally Association’s 10th edition of the Flying Scotsman Rally returned to its roots with a new ‘Brooklands to Edinburgh’ route. 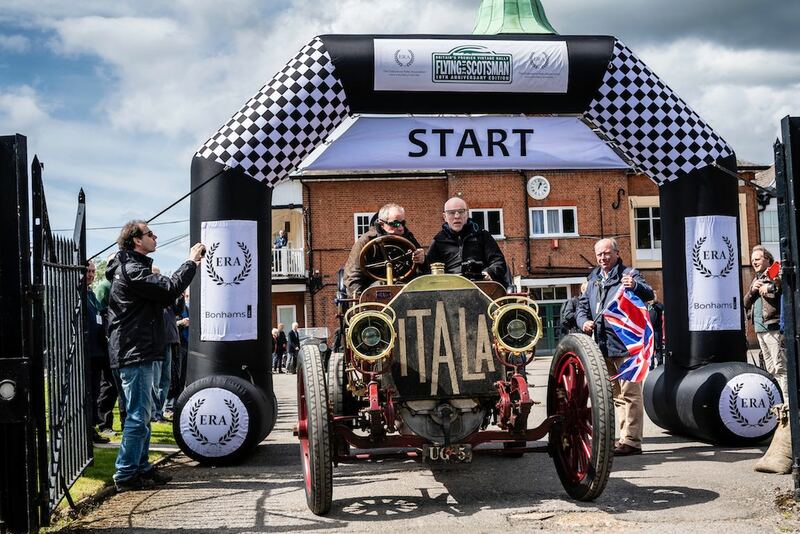 On day one, entrants were flagged away from the Brooklands Museum shortly after midday on Thursday 26 April. A relaxed run through the Home Counties provided a gentle introduction, allowing crews to slowly build a head of steam for the days ahead. Day two saw the route head north into the East Midlands to take in some exciting new challenges before swinging east through the quiet yet magnificent Lincolnshire Wolds. After a comfortable night halt close to the majestic Humber Bridge, the gradients increasd through Saturday, as the spectacular moors and dales of Yorkshire welcomed participants. On day four, the special 10th Anniversary Edition rounded off with a shorter day of splendid moorland motoring through the wilds of Northumberland and the Scottish Borders before a triumphal arrival at the Balmoral Hotel in the heart of Edinburgh, appropriately close to Waverley Railway Station, the original destination of the event’s illustrious steam powered namesake. The Flying Scotsman Rally 2018 was won by the rare 1939 Alta crewed by Gareth Burnett and Matthew Vokes. Driver Gareth Burnett has won the event twice before in 2013 and 2016, both at the wheel of a Talbot 105 Alpine, making the first driver to score a hat-trick. 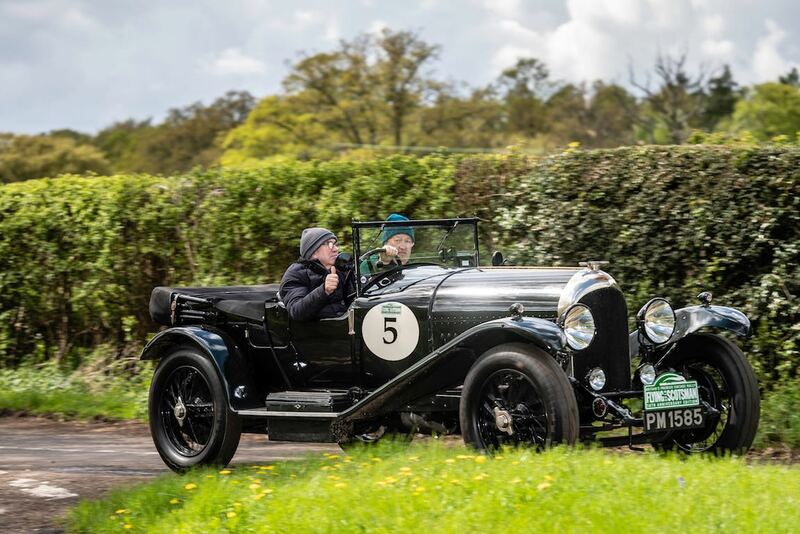 The winners beat off strong competition from fellow two-time winner William Medcalf, with navigator Andy Pullen, who finished just 0.07 behind the leaders in the 1925 Bentley Super Sports. 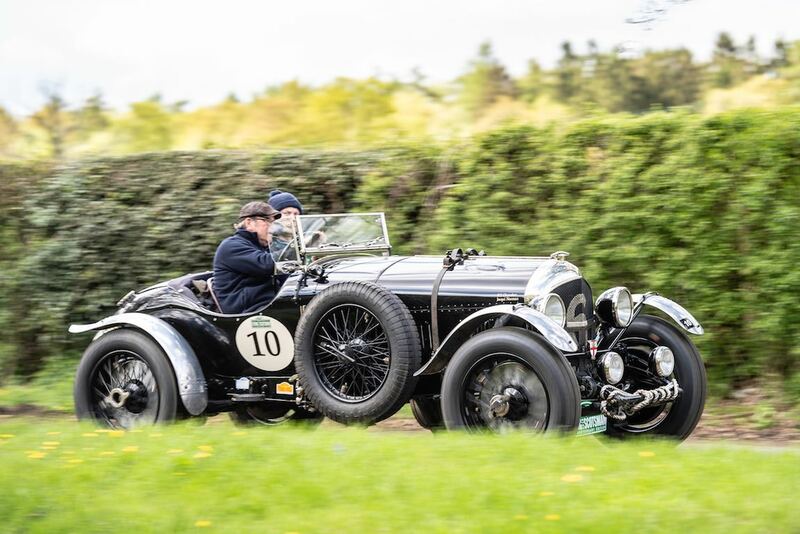 Bill Cleyndert and Dan Harrison, also in a 1925 Bentley, secured third place. 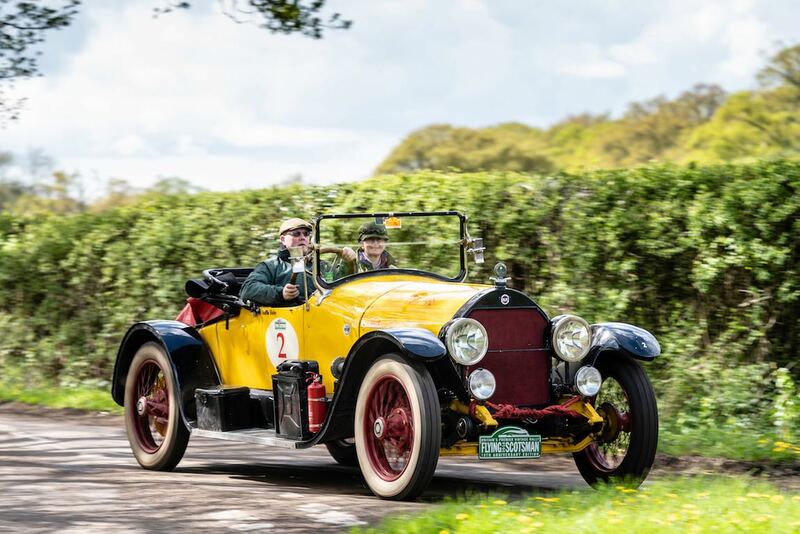 Amongst the Class winners were David Ayre and David Duncan in the newly repaired 1907 Itala, last year’s winners Paul Crosby and Ali Procter in the 1939 MG TB Supercharged, and Peter Lovett and David Richards, Chairman of the MSA, in the 1937 Frazer Nash BMW 328. 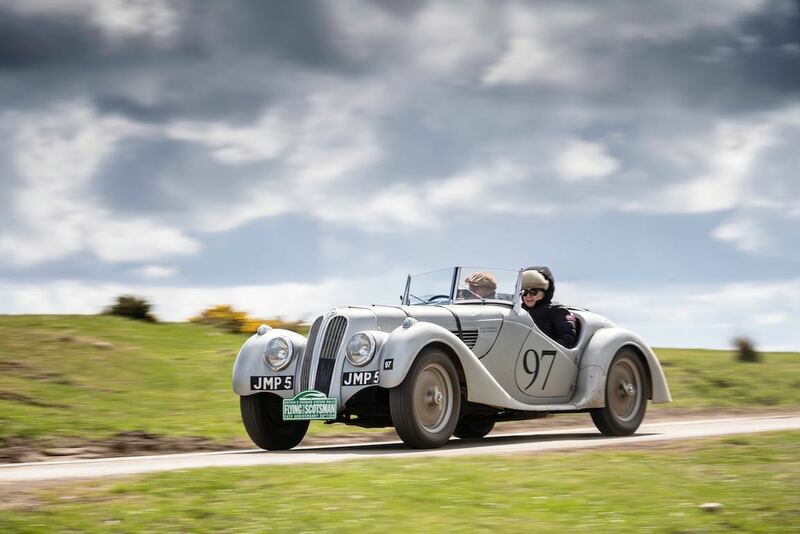 There were special awards for three of the 107 crews that crossed the start line at Brooklands Motor Museum on Thursday, as the event returned to its roots with an exciting new ‘Brooklands to Edinburgh’ route over four days of exceptional motoring. The Spirit of the Rally award went to Jef and Anton Van Hoylandt in the 1934 Lagonda M45 Tourer, while the ‘Concours d’Elegance award went to Rob and Hayley Stoneman in the 1935 Alvis Firebird Special. The award for the Best Dressed Crew was split between two crews, with an award given to each of the navigators. Marina Goodwin in the 1934 Talbot 105 Alpine, with husband Graham, and Ann Boland in the 1929 Bentley 41/2, with husband Andrew, both received the accolade. 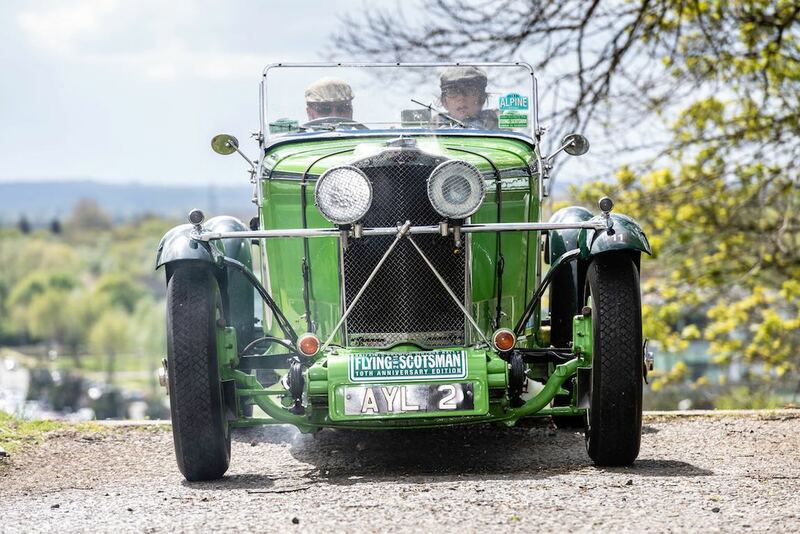 Similar to 2014, 2015, 2016 and 2017, Sports Car Digest also documented the 2018 Flying Scotsman Rally, with photographer Gerard Brown offering the following wonderful pictures highlighting the breathtaking views of the Scottish countryside. For further details, visit EnduroRally.com.